The Marianas Young Professionals, in cooperation with the Northern Marianas College and Public School System, will host a series of political candidate forums in Saipan public schools. The public is welcome to attend this free event. The first candidate forum will feature Board of Education candidates and will take place today, Oct. 16, at Kagman Elementary School, starting at 5:30pm. The second candidate forum will take place on Thursday, Oct. 18, at Kagman Elementary School and will feature lieutenant governor candidates. Doors open at 5:30pm. 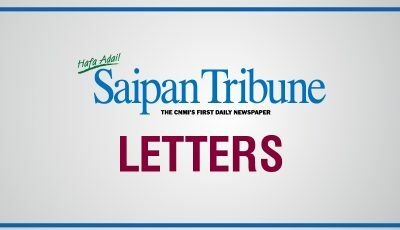 This year, questions will be provided by members of Million Dollar Scholars high school clubs, as well as from higher education students both on and off island. MyPros will invite young professional membership, working in government and private businesses around island, to submit questions as well. “We will broadcast the forums on social media to reach a larger viewing audience but we are hosting these forums at public schools so that more people can attend in person. Our goal is to inform our membership, and the public, by providing an equitable platform to discuss important ideas,” said MyPros executive director Gerard van Gils. The Kumisión i Fino’ CHamoru yan i Fina’nå’guen i Historia yan i Lina’la’ i Taotao Tåno’ (Commission on CHamoru Language and the Teaching of the History and Culture of the Indigenous People of Guam) has postponed its monthly meeting to Oct. 18, Thursday, from 12:30pm to 3pm, at the former Guam Museum building or the Garden House in Hagåtña.